In the beginning, there was Spock’s Beard. For many this was fans first introduction to Neal Morse. Yes, for years Neal had traveled through the wilderness of playing bars and small clubs before arriving in the promised land of success with Spock’s Beard. Yet, something was still missing as God was slowly preparing a new path for Morse who even after a miraculous healing was still a doubting Thomas for a time. After about a decade, Morse left Spock’s Beard in 2002 to make a firm commitment to Jesus. Neal’s first two Christian releases were Testimony and Testimony 2. Both concept albums shared his very personal conversion to Christianity and just in case the music did not cover the story his book “Testimony” did. Over the years Neal has found a way to weave his faith into his secular and spiritual projects. He might have even created a new genre that could be called “progressive praise”. 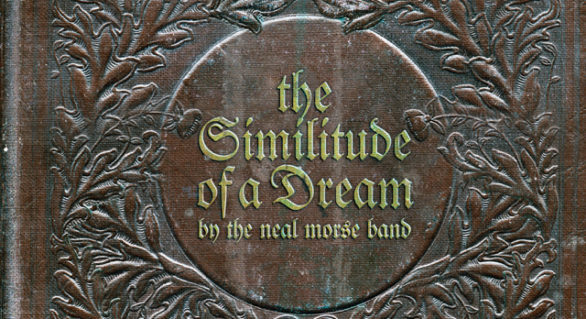 From his old group Spock’s Beard to his newest record The Similitude Of A Dream Morse’s music remains compelling and complex, so it’s no wonder that Neal has fans from around the world. Folks ranging from youngsters to elders had made the pilgrimage to New Life Fellowship on September 1 and 2, 2017 for Morsefest. The three day event in Cross Plains, Tennessee featured two main concerts plus VIP experiences, meals, Inner Circle performances and raffles. On Sunday coffee and pastries were offered before a noon gathering at New Life. At three p.m., Neal led another worship service at City On A Hill in Nashville at the church he founded. Despite Noah like rains fans spirits were not dampened as they packed the pews for Friday’s performance which featured the Testimony 2 album in its entirety. First, Nick D’Virgilio of Spock’s Beard with Stan kicked off the event with an acoustic set of songs from Nick’s various projects. Both were agile players and their voices blended well as they aptly wrestled with a colorful Morse composition to close their well-received set. All signs point to a great Moresfest 2017. Fans were on their feet as the Neal Morse Band took the stage. 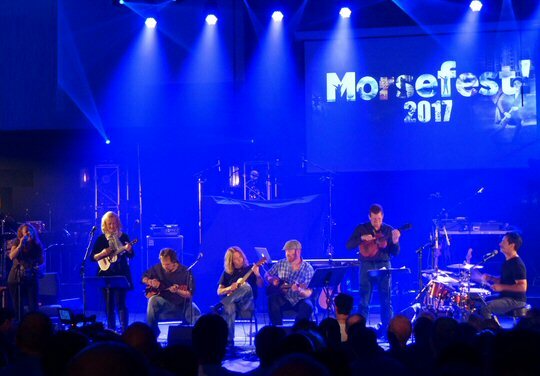 For Morsefest 2017 the group included a choir, dancers, a horn section and strings who enhanced Neal’s already elaborate songs. Lighting and visuals were also used to full effect. Neal greeted the crowd telling us “we got a lot of music for you”. Later he talked about hearing people’s stories of struggling with too many choices. In response he wrote “So Many Roads”. On Friday the song journeyed through many changes ranging from soft to soaring. Another high point of the first half was the acoustic part of the set where the core sat up front. Before playing Mike Portnoy could not resist running down the cat walk as he usually does not have the opportunity to get that close to the audience. He jokingly questioned his decision to play drums. “I have a confession to make,” stated Neal who said he did not want to play the piano intro to the next tune. Mike had suggested they play “Seeds of Gold”. Morse was reluctant now realizing he would have to perform the complicated composition. “Only God is perfect,” he declared as he tackled it. The intro was not the only hard part as the whole song was packed with twists and turns. Neal’s admission addressed something we have often thought of – that is – how do musicians recreate long, layered pieces in the live setting from memory? 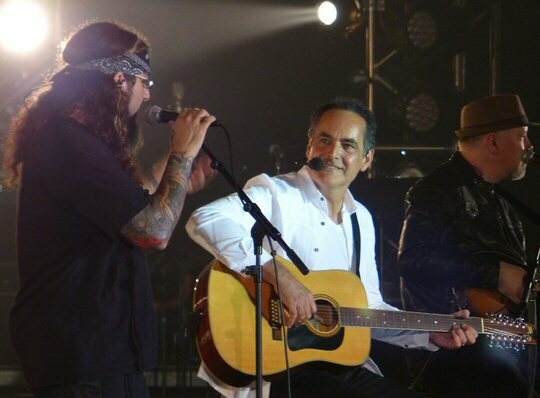 Yet, the Neal Morse Band did it capably on both nights. Plenty of concerts last about two hours but Neal with his talented team were just wrapping up their first set of rarely performed gems around 10 p.m. before taking a short break. The first half featured “Lifeline”, “So Many Roads”, “Supernatural (acoustic), and the aforementioned “Seeds of Gold”. For us this could have been a complete show – but, as Neal promised – we were in for a long night of music. Neal’s daughter Jayda was a central theme in Testimony 2. Testimony 2 was “progressive praise” at its finest. The album runs the range from reflective and rocking with fans responding in turn by sitting and standing as the music required – sort of like a Catholic mass. For the fans who may not have known Morse shared that his daughter Jayda was born with a hole in her heart. The doctors were watching her closely to determine when it might be safe to operate on the infant. While in Europe with Eric Burdon, Neal’s wife Cherie had asked her church to pray for Jayda. As told on Testimony 2 – while on tour Neal received a late night call from Cherie who reported the impossible – Jayda had been healed! The track Jayda for us was the most moving moment of the night. Video clips of the family were shown as they performed the song. At one point Morse was on his knees almost in tears. Clearly this miracle still touches him deeply. At they finished the tune Jayda who is now a young woman came out to give her Dad a hug. Jayda was also one of the two dancers at Morsefest 2017. The second set and concert ended with a convincing “Crossing Over/Mercy Street Revisited”. Middle Tennessee was the alpha and omega of Neal’s “The Road Called Home Tour” which began in Nashville in January and ended in Cross Plains in September of 2017. The Similitude Of A Dream concept album was also recorded in The Volunteer State. Speaking of volunteers in addition to a crew of lighting, sound and video professionals many of the people assisting at Morsefest were from City On A Hill Church. For those who were not able to attend this three day epic event be assured that it was filmed and recorded for a likely future release. On Saturday, Morse explained that Similitude Of A Dream was inspired by John Bunyan’s book “Pilgrim’s Progress” telling the story of a man’s spiritual journey from the City of Destruction to the Land of Deliverance. He said the man meet many people along the way and if they had tried to tell all the stores it could have turned into a ten-disk set. Morse along with drummer Mike Portnoy, bassist Randy George, keyboardist Bill Hubauer and guitarist Eric Gillett brought this complex concept album to life in this year as they toured the world. Mike Portnoy (The Winery Dogs, Twisted Sister, ex-Dream Theater) who has been proclaiming the gospel of Neal Morse for a long time stated that “I honestly think this is THE album of my career. Neal and I have now made 18 studio albums together, and I consider The Similitude Of A Dream the absolute creative pinnacle of our collaborations together”. Morefest 2017 might have been the best prog rock show ever in the Nashville region. Also on Saturday a couple from England had made arrangements to get married at New Life Fellowship earlier that day. We happened to be sitting next to the newlyweds and could not have been happier when the groom who had a Winery Dogs tattoo won the drum head signed by all of the Neal Morse Band. Nick D’Virgilio was back on Saturday night. This evening he was sitting at a drum kit leading the smartly named UniKuE. Not many know that the four stringed curiosity comes in numerous models including a bass tuning. Nick along with the folks from Sweetwater Studio (Fort Wayne, IN) one of the biggest gear suppliers in the world discovered that when the company received a sizable shipment of the instruments in various configurations. Next thing you know they had formed a group to play classic and progressive rock covers on the four string. 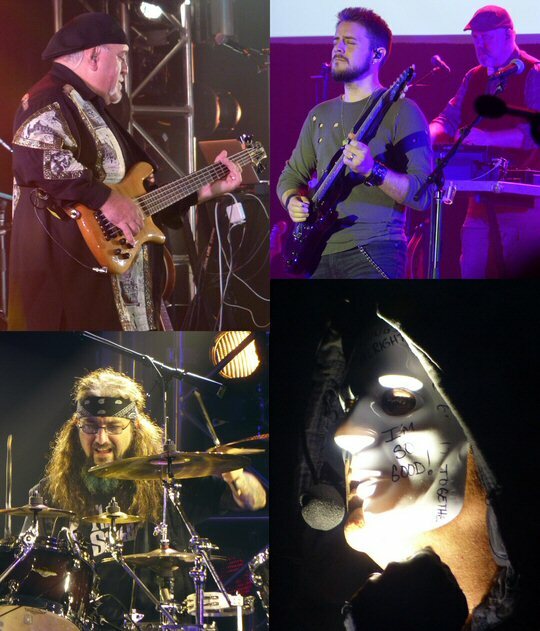 Their unique set included music by Jethro Tull, Rush, Led Zeppelin’s “Going To California” and a rousing “Roundabout” (Yes). The six string players along with Nick aptly recreated the notes and nuances of these well-known tunes. After an impressive opening it was time for Neal to appear in the shadows draped in a dark hood lamenting “Long Days” that flowed into the opulent “Overture” and “The Dream”. Morse utilized a wireless mic so that he could at times act out the tales he was telling. As is Neal’s custom he switched from keyboards to acoustic/electric guitars throughout the night. Again lighting and videos were effective in supporting the story as the choir, dancers, horns and strings enhance the already electrifying music. The incomparable Neal Morse Band on stage in Cross Plains, Tennessee. The dynamic “City of Destruction” launched the next stage of the journey as Neal the narrator realizes that “We Have Got to Go” as things currently “Makes No Sense” and one has to “Draw the Line”. This series of music ran the gamut from wistful to warp speed. The spiritual turbulence persisted with a potent “So Far Gone” before Morse appeared in a white hood as he sang hopefully of casting out all fear. There was an intermission during the album but the band would be back for more epics such as “I’m Running”, “The Mask”, “The Confrontation”, “The Battle” with a dragon before coming full circle for “Broken Sky/Long Day (Reprise)”. 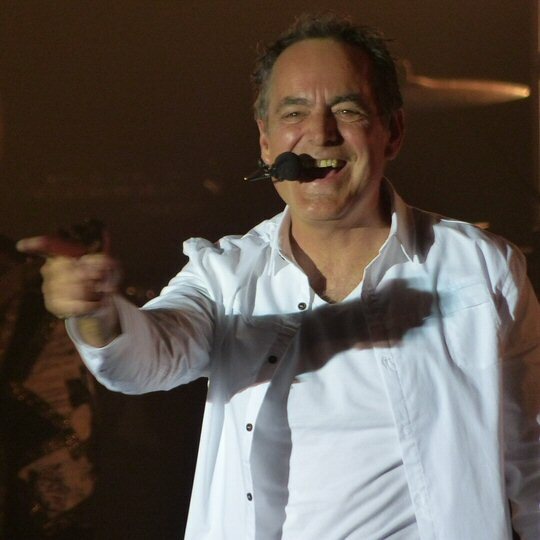 The group triumphantly left the stage as some elated fans started chanting “Ole, Ole Neal Morse”. The church remained dark so we knew the Neal Morse Band would be back for an encore. “Author of Confusion” ran the gamut from calm to calamitous veering off into a guitar duel finishing with a dynamic drum and keyboard exchange. Potent versions of the “Agenda” and “The Call” concluded Morsefest 2017 on a heavenly note. “Thank you, praise the Lord,” declared Morse. He introduced all the musicians and then thanked the pros and volunteers who were apart of MorseFest 2017. Mike Portnoy said a few words commenting that it had been quite a week for them. 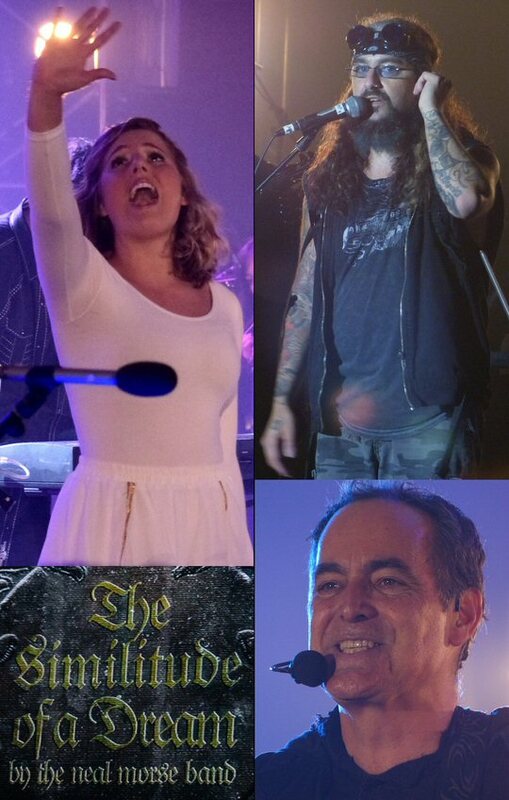 Although Saturday’s performance was their 50th of Similitude Of A Dream the band still had to prepare the new production, epic songs and all of Testimony 2 in order to present Neal’s old and new testaments with an extended cast of characters. Now, what do they do for an encore? The fourth annual gathering of the Morse faithful is going to be hard to top. Nick D’Virgilio – seen here with UniKuE – opened both nights of MorseFest 2017. We were there with you all to experience this event in all of its glory. An amazing testament to his and their talent and dedication. Easy to become an avid fan and celebrant.